Premier Decorations battery operated water glitter candle with yellow LED and Nativity scene. This charming 26cm candle style decoration operates by battery power and when switched on moves the glitter around the fastive Nativity model creating a sparkling snowy effect. Batteries not included. 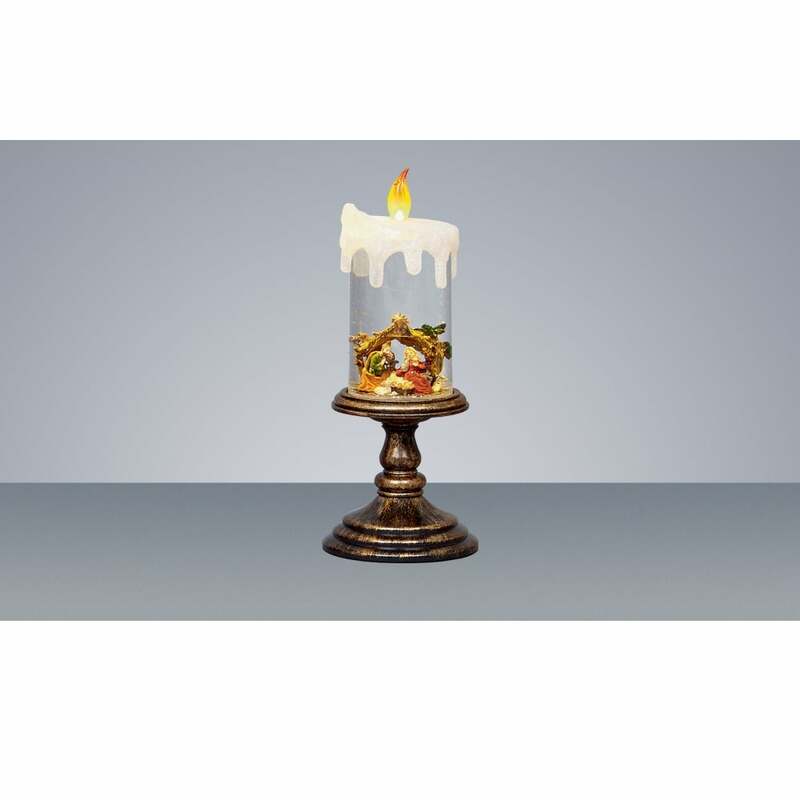 This product code for the Christmas candle decoration is LB131863. Suitable for indoor use only. Requires 4 x AAA batteries which are not included. This candle style Christmas decoration is also available in 3 other designs: A Christmas Choir, a Snowman or a Santa scene.